Greenmax make a range of very detailed N Scale Model kits. 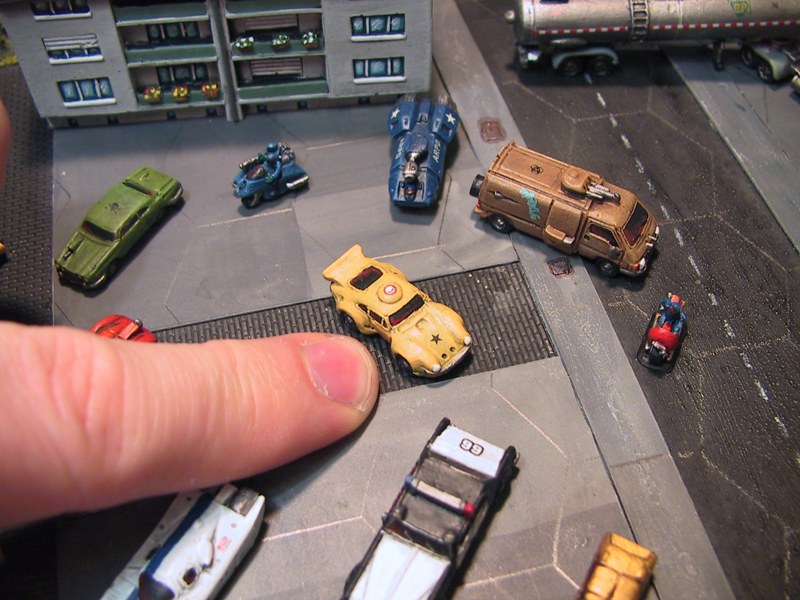 N Scale is 1/150 which is close to 10mm in miniature game terms. 1/100 is 15mm and 1/300 is Epic or 6mm scale. 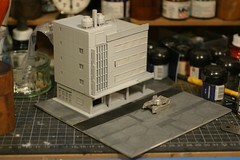 These are therefore not ideal for 6mm gaming but here you can see a Battletech 6mm scale tank beside the building. I think I can get away with using the N-Scale Greenmax building with 6mm. 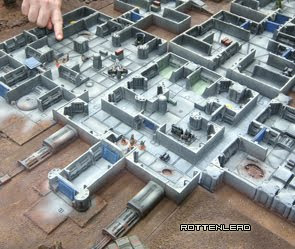 In this current form it has just been undercoated but once detailed I think it will look like a very large office block and might get lost in the overall city layout of a 6mm battle. It was fun to build, comes in kit sprue form like an airfix model and clips together very well. You do need some patience with the finer details and lining up the tiny slots during construction. The liquid cement glue also requires ventilation, so beware the fumes.